Today, I want to talk about the subject of photographs, and why it is important to pick one. Sometimes, subjects are easy to pick. Other times, they are more difficult to see. They can be any number of things: wildlife, flowers, people, landscapes, objects, specific events, etc..
What is the subject of these photos? 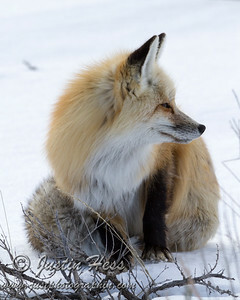 I think it is easy to say that a Red Fox is the subject. Back in February of 2016, I made a trip to Yellowstone National Park to observe wildlife and view the scenery. My main objective was to observe wolves in their natural habitat, which I was able to accomplish. There are photographs that document this experience. 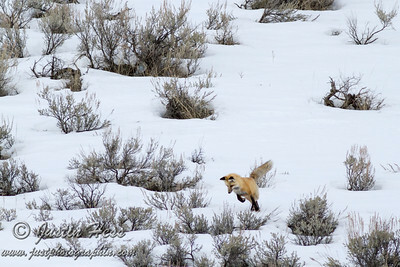 However, the Red Fox photographs are more intriguing to me, because the subject stands out. When I look at these two photographs, it is easy for me to identify what I am looking at. This is an important tip for photography. Having a clear idea of what the subject of a photograph is helps make other decisions about how to make the photograph. I used a telephoto lens on a cropped frame camera to capture the above photographs of the Red Fox. This is due to the distance required to maintain safety of persons and animals. One of my favorite lenses is my macro lens. 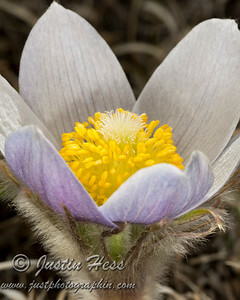 This is great for capturing close ups of flowers, such as this pasque flower. However, I would not recommend using a macro lens for wildlife photography. The subjects are not the same, and they require different equipment to capture them properly. Vice versa, I do not try to capture macro moments with my telephoto lens. Honestly, this is something I observe a lot of people doing. Knowing what the subject is also helps define how to interact with it. As I mentioned above, wildlife need distance. Flowers do not. Therefore, the interaction is different. If the subject is people, maybe the interaction is more casual or formal. Capturing this moment on a family vacation was a casual experience, and I think the photograph depicts that. Interacting with the subject is part of the experience of creating the photograph. This is why it is important to know what the subject of the photograph is. 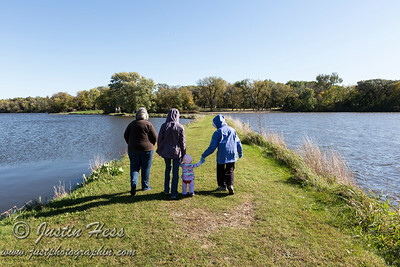 I am continually learning more about wildlife, flowers, and people that I photograph. Having a defined subject helps create better photographs. It helps answer other questions that I will dive deeper into in future posts. What is the subject of the photograph? Ponder this question during the week.